Planning a Christmas meal with family or friends this festive season? Sit back, relax and let us cook for you. 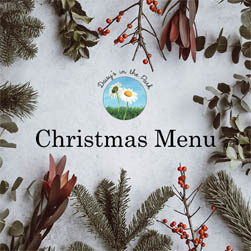 We have a fabulous festive evening menu available Tues – Sat from the 27th Nov – 22nd Dec. Enjoy a 3 course meal for just £25pp.